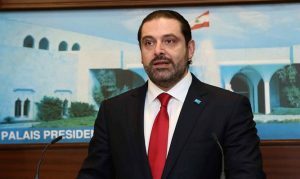 Lebanese PM urges Iran not to interfere in his country’s affairs after top Iranian general welcomes Hezbollah’s election achievements. His comments, quoted by The Associated Press, came after a top Iranian general reportedly praised Iran-backed groups for making gains in last month’s parliamentary elections. Lebanese media aired a video posted on social media showing Gen. Qassem Soleimani, the head of Iran’s Quds Force, saying that Hezbollah’s victory came at a time when some Arab countries labeled it and its leaders as terrorists.